This installation in Ewell, Surrey was an interesting job to carry out. 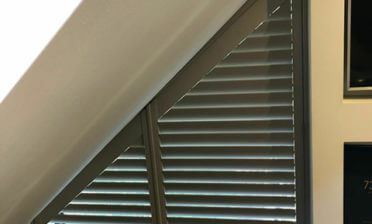 The windows were huge and required special shape shutters to match the contours and area. 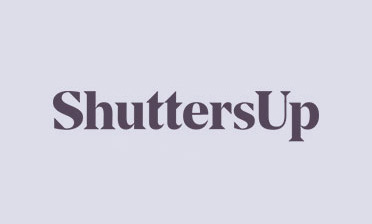 Because our shutters are custom made to order, we take highly accurate measurements in a survey of the windows to create your new shutters in millimetre accuracy no matter what bespoke shaping is required! 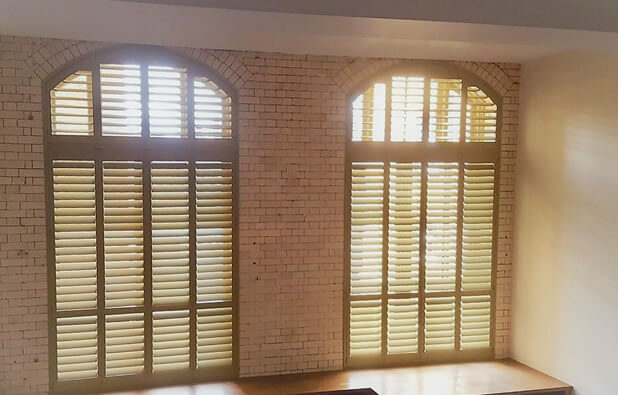 The shutters were manufactured using our Fiji Hardwood Range, made from Paulownia wood they are great for wide and high expanses such as for this installation. It is also the perfect wood for custom shapes and irregular windows or doorways. We used plain stiles, thick 89mm louvres and a hidden tilt rod system which creates a more minimalistic look rather than having unsightly tilt rods running up and down the large panels. 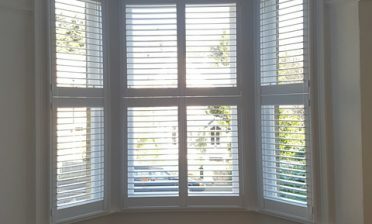 The shutters are broken up at the top where the special shaped area starts, but also feature a mid rail built into the lower panels not only for strength but also for more choice in adjustment. 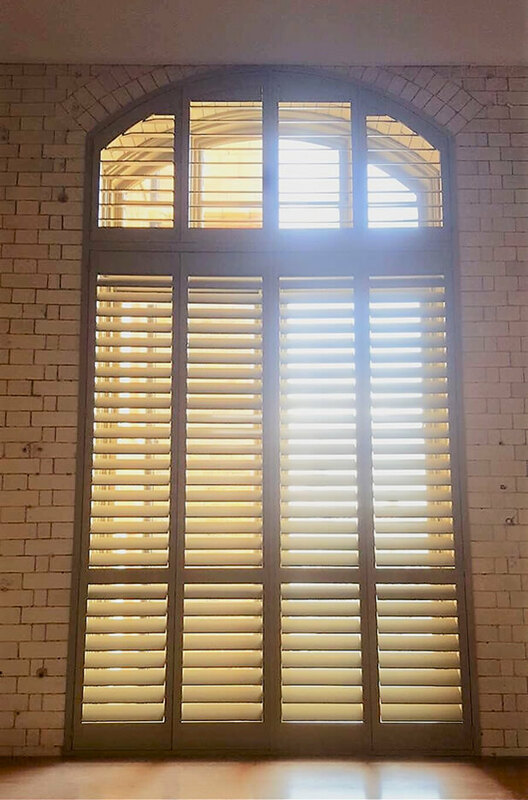 Mike and Paul installed these shutters for our client Henry, they shutters were created in a custom colour for the client to match the current décor and styling of the room. We also used antique brass hinges for extra attention to detail, selected by the customer. Henry was thoroughly impressed with the final results which have transformed the windows and lighting into the property!